Flute Ensemble for beginners Age 9 -12. Focus on tuning, basic technique and note reading. Learn your first songs on the flute, make new friends, move up chairs in band. An economical substitute for private lessons and a great way to maintain interest in the instrument. Advanced Flute Ensemble Ages 12 and older, min. 2 years playing experience. 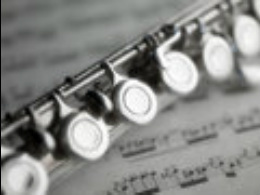 For students with 2 or more years of experience playing flute. Strengthen embouchure, learn new music, increase skills in tuning, articulation, fingerings, and style. Enjoy harmony playing in parts. Improve stage presence through public performance. Have fun!! The Gene Nastri Community School of the Arts is a member of the National Guild Community Schools of the Arts. We offer superb instructors that take our students as far as they want to go in their studies of music and art.